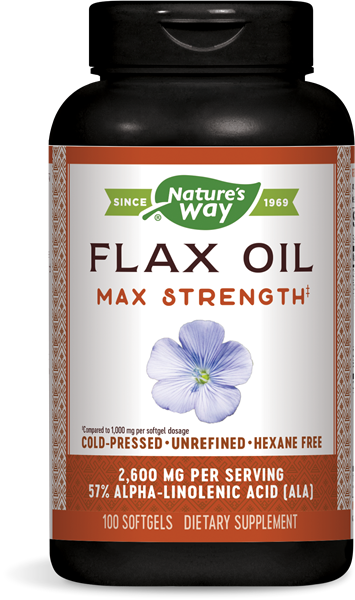 Flax Oil 1300 mg / 100 Softgels - Nature's Way®. Nature's Way EfaGold® is the highest quality Flax Oil-57% alpha-linolenic acid (ALA). Cold pressed, unrefined and hexane free. Quality control from soil to oil. Our involvement begins in the fields and continues through harvesting, seed selection, oil pressing and purity testing.